Find your Perfect Spot during your TEFL Course, with Our Accommodations Options. Choosing the right TEFL school is not just about the program, the website, or the location. There are several other factors that should also be taken into consideration. One of these factors is the academic and professional organizations that the school is a member of. ITTO is a member of some of the most important international organizations in the TEFL industry. Check out the organizations ITTO is a member of and read how this improves your TEFL experience with us. The American Council on the Teaching of Foreign Languages has been providing support and guidance for the TEFL industry for over 25 years. As a member, ITTO has access to the latest in methodology and pedagogical research, support from internationally recognized leaders in the field, as well as network of colleagues around the world. This enables ITTO to provide you with the tools you need to prepare your students to participate successfully in today’s multilingual world and global economy thus increasing your total value as a teacher. The American Chamber of Commerce / Mexico was founded in 1917 and today groups more than 1,500 companies from the United States, Mexico and other countries, covering all sectors and sizes, as well as more than 10,000 high level executives. As a member, ITTO adheres to the highest standards of quality in student services providing you with the best TEFL experience available. Not to mention that it also allows us to have contact with some of the most important companies in Mexico when it comes to job placement. The Mexican Secretariat of Education (Secretaria de Educacion Publica) is the leading authority regarding academics in Mexico. The SEP is responsible for monitoring, accrediting, validating, and standardizing any form of education in the country. Recognized worldwide, the SEP gives credibility and international acceptance to our TEFL Certification. The College of Teachers has shaped the face of education in England since 1849. As a member, ITTO exercises the code of professional practice to guarantee the academic quality of our course at all times. Through this membership we are able to provide all our graduates with a very clear perspective of academic expectations in Europe as well as a presence in the old continent. The International Association of Teachers of English as a Foreign Language was founded in the UK in 1967, it now has over 3,500 members in 100 different countries throughout the world. 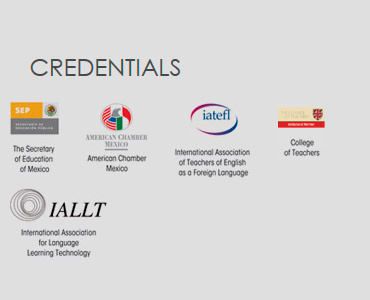 As a member, ITTO is able to foster opportunities for international networking and professional development in the EFL field, continuously improve the quality of its course and publications, as well as offer a supportive and caring environment for all of its trainees thanks to the constant exposure and influx of ideas from other members worldwide. The International Association for Language Learning Technology was established in 1965 and is a professional organization whose members provide leadership in the development, integration, evaluation and management of instructional technology for the teaching and learning of languages. 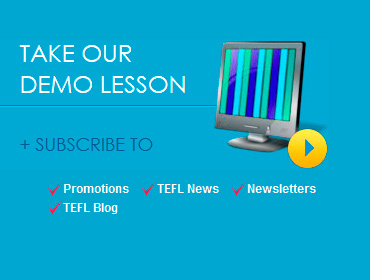 As a member, ITTO has access to privileged resources for the next era of EFL classrooms. Your time at ITTO will not only show you how to become a successful EFL teacher but will also include a considerable contingent of technology applications for you to know and apply in your practice.